Electrical load forecasting is an important tool in managing transmission and distribution facilities, financial resources, manpower, and materials at electrical power utility companies. A simple and accurate electrical load forecasting scheme is required. Short-term load forecasting (STLF) involves predicting the load from few hours to a week ahead. A simple non-parametric kernel regression (KR) approach for STLF is presented. Kernel regression is a linear approach with the ability to handle nonlinear information. A Gaussian kernel whose bandwidth selected by the Direct Plug-in (DPI) method is utilized. 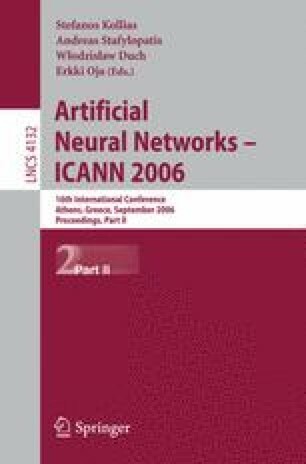 The performance comparison of the proposed method with artificial neural network (ANN), ordinary least squares (OLS), and ridge regression (RR) predictions on the same data set is presented. Experimental results show that kernel regression performs better than ANN forecaster on the given data set. The method proposed provides analytical solution, features optimal bandwidth selection, which is more instructive compared to ANN architecture and its other parameters.